EHR Vendor Reputation in the Marketplace is important. Reputation might be the most important factor you should consider when you're shopping for an EMR vendor. How many customers do they currently have? Have any of those customers been able to attest to meaningful use at stage one? Your colleagues are a great resource for you when you're researching EMR. Ask them questions and find out their opinions of companies they've worked with. It's also a good idea to request that the vendor provide you with references. Be sure to follow up with the references you're given. If there is any reluctance at all in giving you the names of a few practices the vendor has worked with, it should be an immediate red flag. All too often physicians make the leap into EMR vendor selection without really taking into account what their needs and goals are for implementing it. They're very eager to get started with EMR, and they look at it as just another item to check off their to-do list. 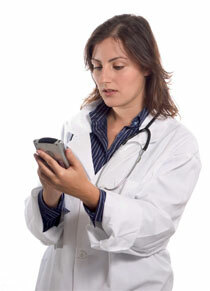 What are the goals you have for your EMR system? If you're hoping to take advantage of reimbursement for meaningful use, you'll want to choose a vendor who holds that as a high priority. If you're interested in a system that's going to provide you with mobile accessibility, it's important to eliminate those that do not provide that feature. Regardless of what your individual practice needs and goals are, stick to them, and don't settle for less than what you need to make your EMR vendor selection a good one. There are many practical factors you'll want to take into consideration in your search for your EMR vendor. One you've done some research, request proposals from the ones you feel the most comfortable working with. You might even request demonstrations, if the vendor offers them. At the very least, the proposals you get should include installation costs, training costs and any fees associated with upgrading the system in the future. Be wary of making your decision based on cost alone, as cheaper doesn't indicate better. Instead, focus on what the vendor offers in terms of IT support and training to help you make a decision that will provide you with everything you need. Above all, planning ahead is vital. Each stage of meaningful use will be more difficult to attest to, and you'll want to be working with a vendor who is prepared for any changes that need to be made in the future. An excellent EMR vendor selection will expertly guide you through implementation, giving you excellent support. Whether you need advice on which vendor to select, or you'd like to see a demo from RevenueXL, we're standing by to help!